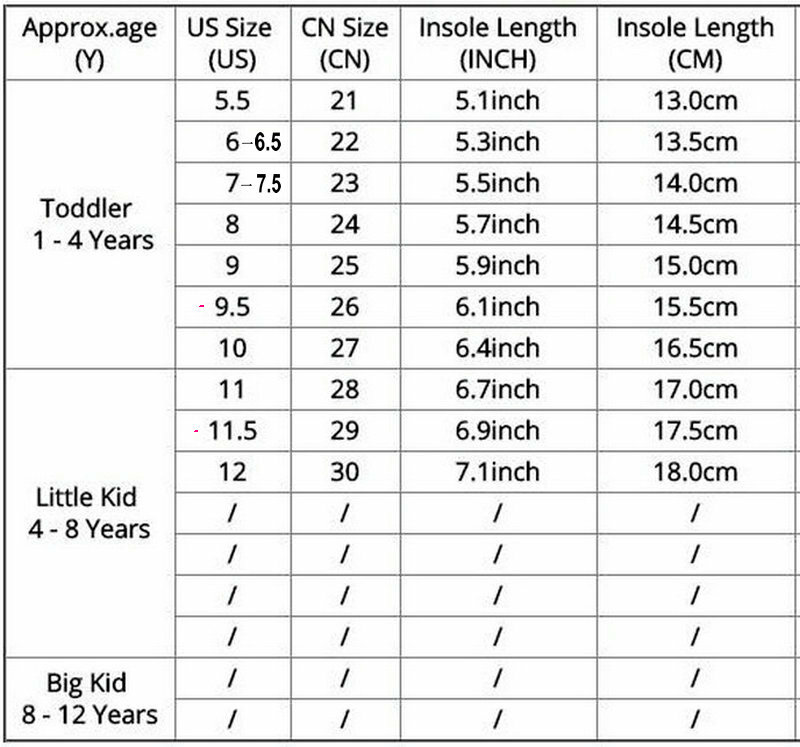 Feature: Color:Black,Pink,White Size:21~25 Length:13.7~15.7 cm Dear friends: Because all children shoes size is difference,When you order the children’s shoes,you should according to Our size and internal length. According to the Insole length. (Insole length=Foot length +1cm) The US size is Not Standard ,Just convenient for you to do order. The comfortable length is the foot length add about 1cm. All shoes will be shipped with bubble bags,no boxes !! !